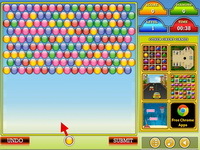 Description: Guide the dot through the maze without hitting the walls. It starts to get weird around the fourth level. Also known as the Exorcist Maze!